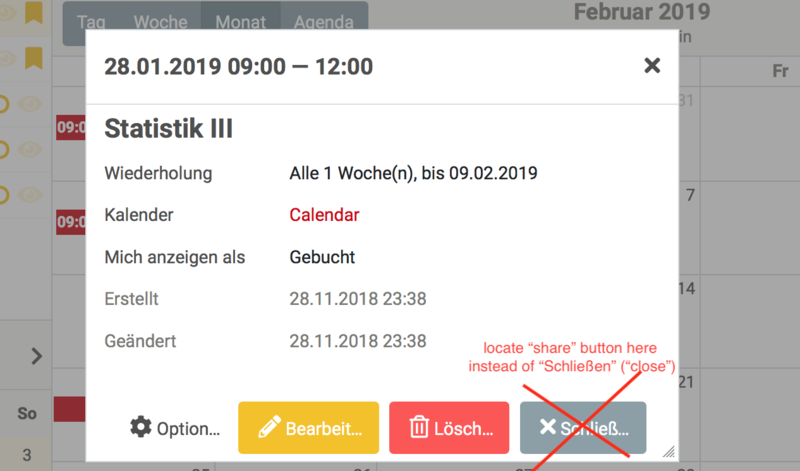 comment: by deleting one of the "close" buttons, the "share event" button could be displayed directly rather than be hidden under "options"
Yes. All dialogs have two buttons for closing (sometimes it's Close, sometimes Cancel). I also don't think that Share is important enough to be a separate button.